The Loudbox Artist is an evolution in acoustic amplifiers. It leverages the award-winning design of the Loudbox 100, yet packs more power and enhanced features into an incredibly lightweight and portable package. 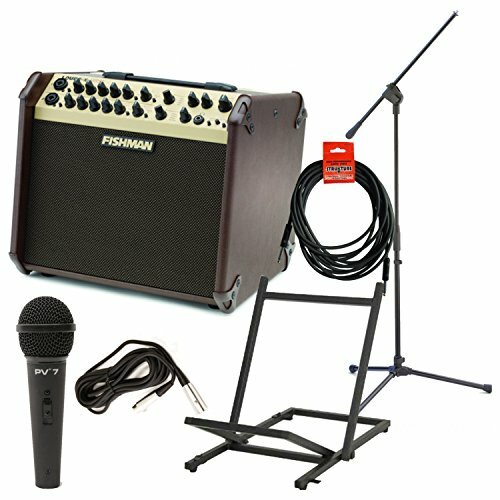 120 watts of ultra-clean, bi-amplified acoustic power, two versatile input channels featuring Fishman's legendary tone and feedback-fighting controls, plus a new dual effects section make the new Loudbox Artist the ultimate portable acoustic instrument amplifier for the seriously active musician.